The For People & Plants magazine is a quality publication with a strong horticultural and scientific emphasis. Enjoy keeping up to date with the highlights, developments and happenings in Kings Park & Botanic Garden. Learn more with articles and photos of the explorations, discoveries, adventures and tales of members, staff and visitors. 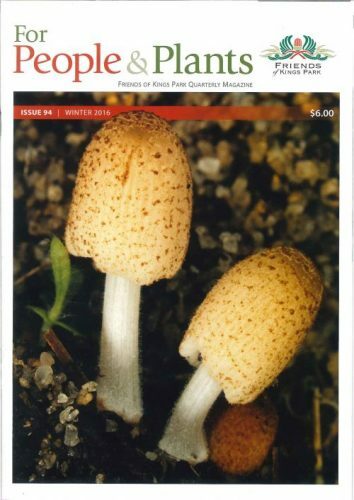 The current issue of People & Plants magazine is available from Aspects of Kings Park. This wonderful magazine is part of a members annual subscription.